training. So it always gets highly respected in Yin Cheng Gong Fa group. 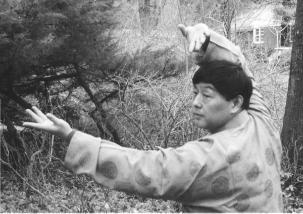 Yin style, Cheng style, and Song style Baguazhang. 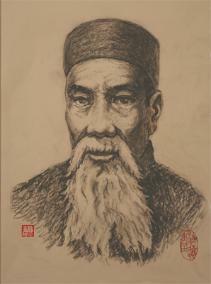 was lucky enough to meet Dong Haichuan and began his Bagua training around the late 1850s (or the early 1860s). about ten years longer than that of most other students of Dong. Bagua is sometimes referred to as Gong Ting (i.e., Palace) Bagua. respect to his early training, Yin made this palm shape with special permission from Dong. of different styles of Bagua being practiced. 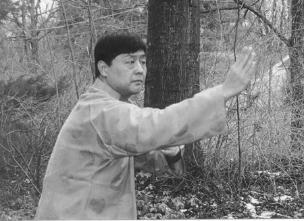 training eight main palm changes became widely accepted in many Bagua groups. 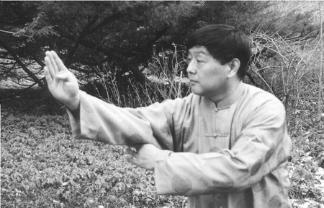 Changes and only a few Yin style groups continue to practice sixty-four palm changes according to the original method. Ma Gui, Li Yongqing, He Jingkui, Cui Zhendong, Gong Baotian, Yang Zunfang, Men Baozhen, and his son, Yin Yuzhang. many of them very hard. from Dong than even most second generation masters. became a martial arts instructor in the National Police School. about ten pounds each, on his wrists. changes according to the way he was taught without making any modifications himself. critics who felt that he should be more free with his teaching. somewhat when he reached his seventies. On a chance encounter he met and accepted a twelve year old boy as a disciple, teaching this boy directly for many years. 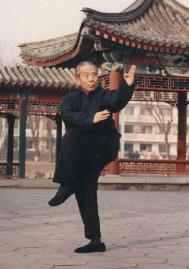 a top-level master, Wang began to grasp the true meaning of martial arts. and then Bagua Broadsword Eighteen Interrupting (Bagua Dao Shi Ba Jie), which was Ma's favorite weapon skill. day by day. No one thought anything special at the time, but today we know how valuable this sort of training is. Tantui with Zhang Yulian, Baji with Wu Xiufeng, Tongbei with Liang Junpo, etc. few of his grand-disciples. I was among the lucky ones who had the opportunity to study it directly with him in his home. before you." I have been fortunate to find several students interested in studying Yin style Bagua as I did with my teacher. peculiar to this style of Bagua. 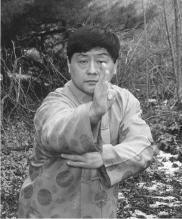 The basic hand shape of Yin style Bagua is called Niu She Zhang (Ox Tongue Palm) or Liu Ye Zhang (Willow Leaf Palm). fingertips which is used a lot in Yin style. It is said that no one could defend against Yin Fu's triple piercing palm skill. proficiently. Circle walking practice imparts important benefits and enables a student to begin to feel the essence of Bagua. 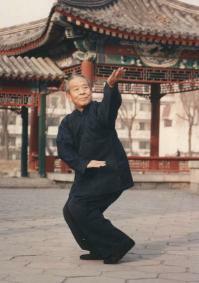 It is said: "Everything comes from circle walking; circle walking is the first thing in Bagua practice." really understanding Yin style Bagua. rear palms face (or almost face) the center of the circle. 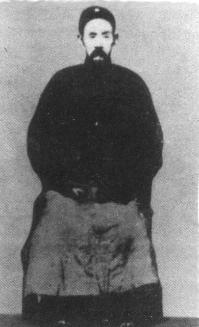 In Yin style, the body is only turned inward about thirty degrees. 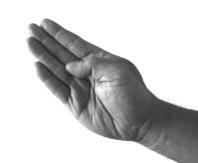 of the circle with the back of the palm facing forward. arms and hands. The feeling will be strong and exciting. hexagram, of which there are sixty-four different permutations. 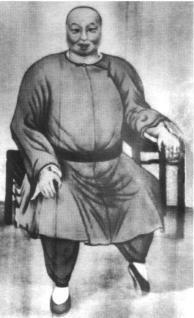 Yang or Yin Yao). Y can be a number between 1 and 6 that corresponds to a particular Yao's position within a hexagram. all follow basic Yi Jing principles to greater or lesser extent.